The drive to build the best nest continues this week. To track all the possible locations I have sighted, I have set up a new Google My Map called “Nest Sightings – Spring 2011”. The link is in the Blogroll on the right. Coming back from the beach I identified two new potential sites. One in the Madronnas on the trail and the other in a big fir tree in Seola Park at the hairpin in Marine View Drive. Then I checked on the one I found last week. 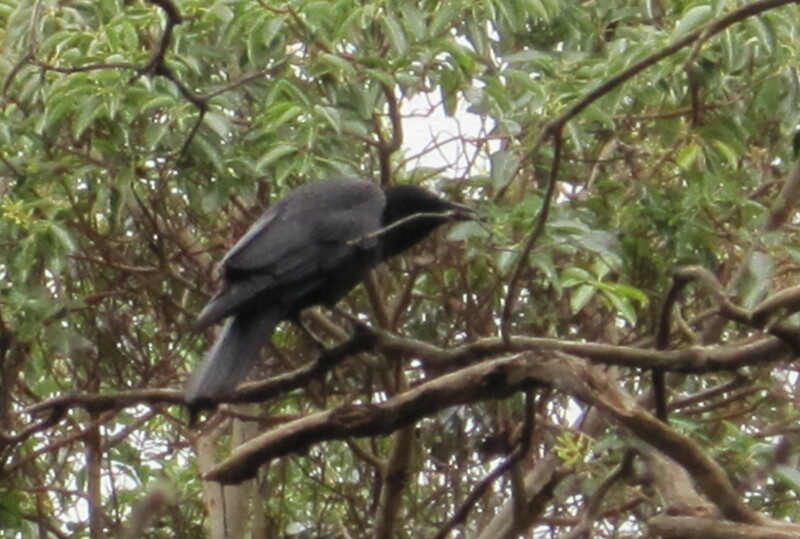 Didn’t see any stick activity there but the pair was on the house of the tree cawing at me and other crows. I have to assume they are still staking out that tree. Here is a picture of the crow in the Madronnas before he & his mate flew down the hill to the tree top they are building in. My other observation is their territories are getting smaller and the family flocks are breaking up into pairs. One sad outcome of this is the gimpy crow that I have often referred to seems to have had a run in with something. Down at the beach while I was feeding the flock I saw her. She had several tail feathers missing and her bad leg had the feathers messed up too. Not sure if this was done by the crow bullies pushing her out of their area on the road or a cat or another creature that crept up on her before she could get away. Tried to get a picture but she was understandably skittery. Good thing she got some good bites of bread to keep her going. The beach had a big turn out. It was low tide and about 50 crows and at least a dozen seagulls came for the bread. This is still the one place where most everyone tries to get along and share the space. However, the Eagles were back and the crows wouldn’t leave them alone. 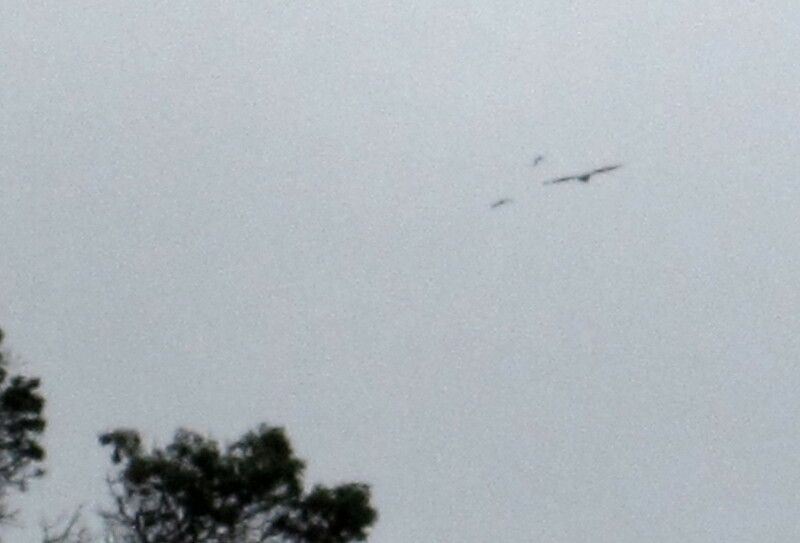 Here is a picture of one flying around with his squadron of crows in tow.